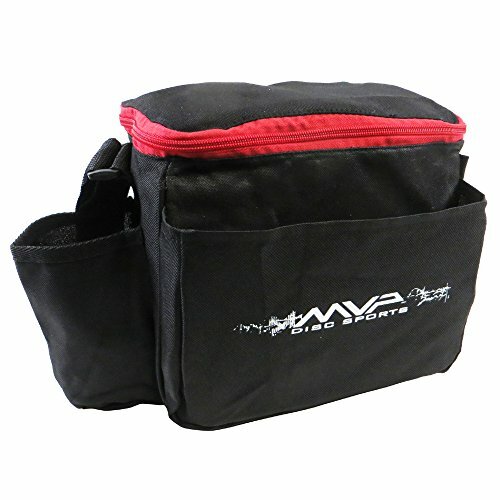 Holds 10-12 discs (including 1 in front putter pocket). All black fabric with zipper color trim. Trim colors: lime, pink, red, or teal. Rigid padded bottom. Drink holder. Screen printed accented MVP bar logo. Zipper mesh compartment in top flap. High quality materials and craftsmanship. Discs and bottles are NOT included.